An Irish editor is at the centre of a major new documentary which has been nominated for a prestigious Sundance award. Donegal-born Michael Harte, who is based in London, edited ‘Three Identical Strangers, which was nominated in the ‘US Documentary Competition’ category on Wednesday. Commissioned by CNN Films and Channel 4, Raw Tv’s ‘Three Identical Strangers’ is the incredible true story of three complete strangers who accidentally discover that they’re identical triplets separated at birth. Set in 1980 in New York, the documentary chronicles the 19 year-olds’ joyous reunion, which catapults them to international fame but also unlocks tan extraordinary and disturbing secret that goes beyond their own lives – and could transform our understanding of human nature forever. Sundance is the largest independent film festival in the United States. Its 2018 list of nominees span 110 independent films from across 29 different countries. 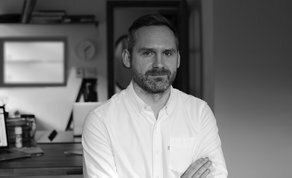 Harte, whose work has also received IFTA, BAFTA, and Grierson nominations, has a decade of experience working on top BBC and Channel 4 productions. Credits include ‘Educating Cardiff/ The East End’, ‘Reported Missing’, ‘The Undateables’, ‘One Killer Punch’, ‘999 What’s Your Emergency’, ‘Hugh’s Fish Fight’, ‘Child Genius’ and most recently, the Grierson- nominated ‘No Place To Call Home’. Harte also worked extensively on Irish projects including ‘The Savage Eye’ and ‘Murder in Melbourne’ for RTE. He began life as an editor under the wing of Bob Caldwell in Dublin.